Rapunzel and Ariel have not seen each other for a long time. And so Rapunzel decided to make a pleasant surprise for his girlfriend. Rapunzel is going to visit the mermaid, and for this, she needs to be well prepared. But it will not be an ordinary adventure. After all, Rapunzel can become a mermaid for a short time and have fun with the princess of the ocean. 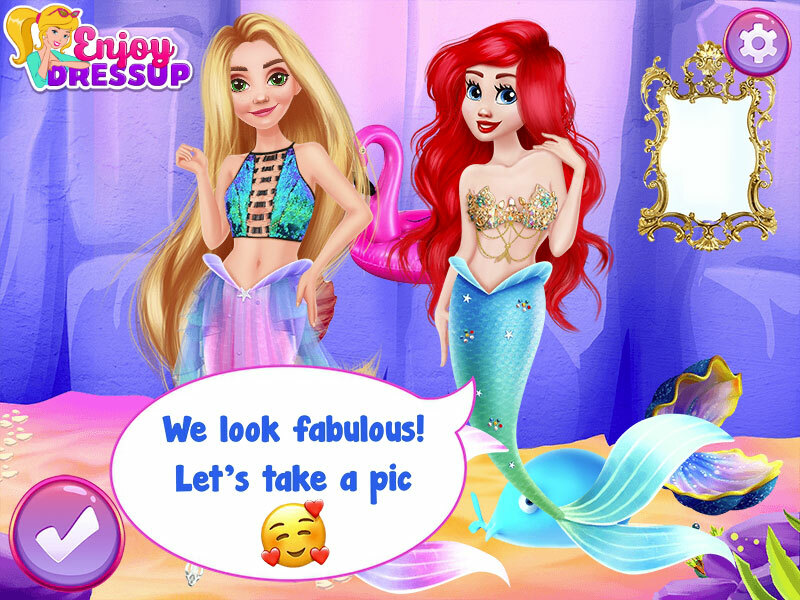 As the game "Rapunzel visits Ariel" begins, then you will have the opportunity to help the girl prepare for the trip and make a beautiful selfie with a mermaid. To get started, choose makeup for our blonde, and then come up with her beautiful fashionable image in a marine style. 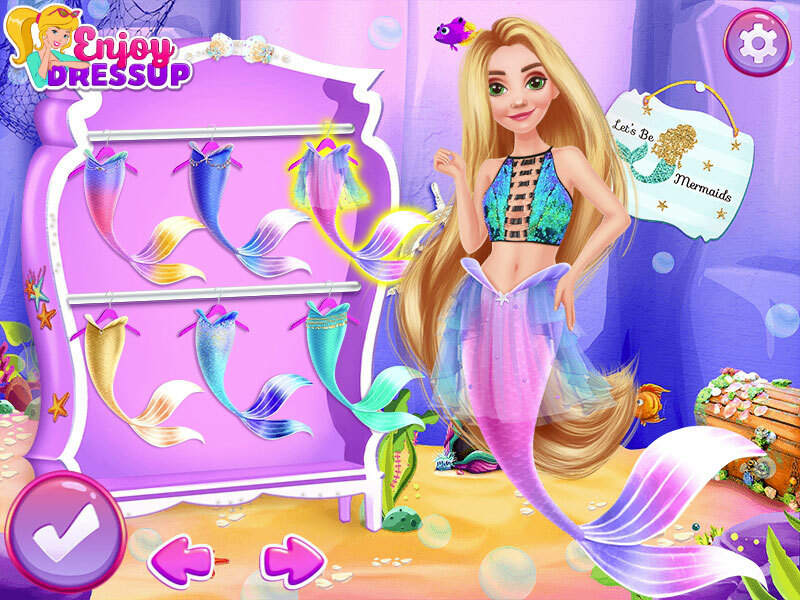 After our princesses meet, you can pick out their clothes, choose a tail for Rapunzel and Ariel in the form of mermaids. And the most important thing is to make a beautiful selfie. Choose a good background for a photo to make a very nice memory photo for your best friends. Played: 2268. Added: 16-01-2019, 09:53. 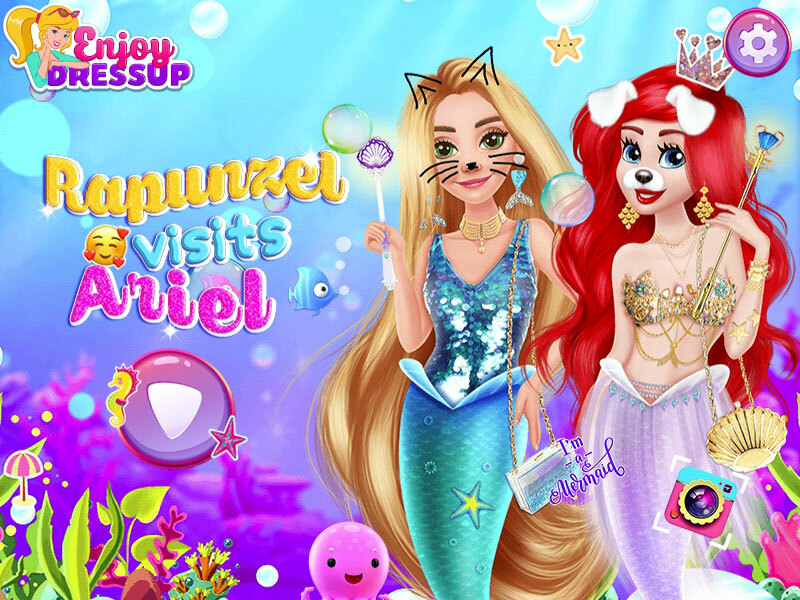 Rapunzel visits Ariel dress up game.